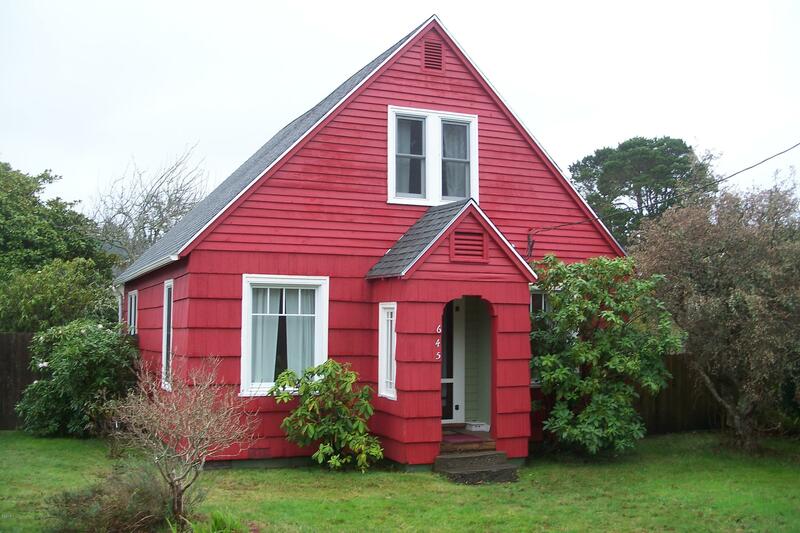 Extensively remodeled Cape Cod home in old town Waldport. Two bedrooms, one bathroom, plus bonus room. Shiny new wood floor in the living room. Kitchen had a total overhaul. New carpet in the downstairs bedroom. Attached sun room has washer and dryer. Generous size shed in the back yard. For the gardening enthusiasts, the yard has a twisted hazelnut tree, magnolia tree, apple tree, rhododendrons, lilacs, and lavender.